Welcome to the new and improved webpage of fantasy author D.B. Jackson, creator of the critically acclaimed Thieftaker Chronicles and the brand new Islevale Cycle. Here you can learn more about D.B.’s books and stories; find a schedule of his upcoming appearances, both virtual and in-person; read a sample chapter or three; get the latest news on D.B.’s professional exploits; and much more. Enjoy your visit, and please tell your friends about the site. 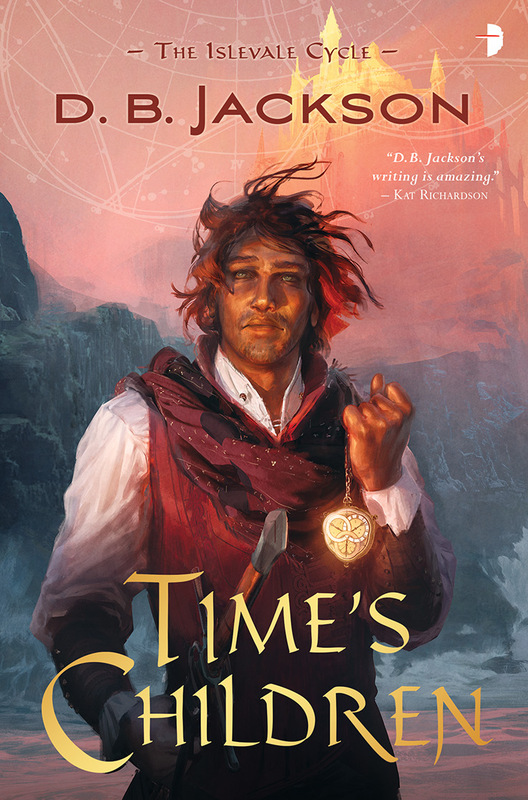 Time’s Children, the newest novel from award-winning author D.B. Jackson, has recently been released by Angry Robot Books. 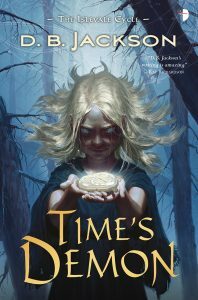 This is the first volume in D.B.’s new time travel/epic fantasy series, The Islevale Cycle, and it has received a starred review from Publisher’s Weekly and been named the Best Fantasy Novel of 2018 by Reviews and Robots. The second book in the series, Time’s Demon, will be published in May 2019. You can read more about these books here. 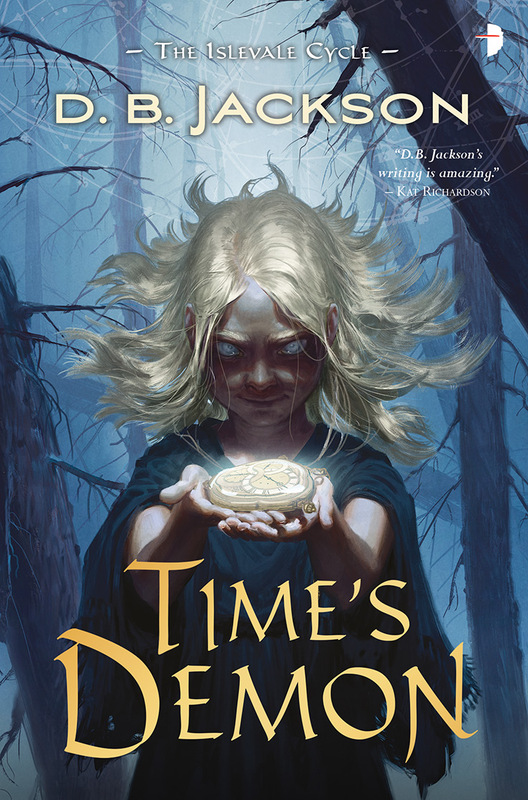 Time’s Children is now available from all booksellers in ebook and trade paperback. It will soon be available as an audio book. 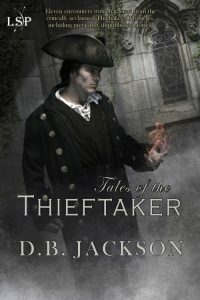 David is proud to announce the release of Tales of the Thieftaker, a short fiction collection featuring eleven stories set in the world of the Thieftaker Chronicles. Writing as D.B. 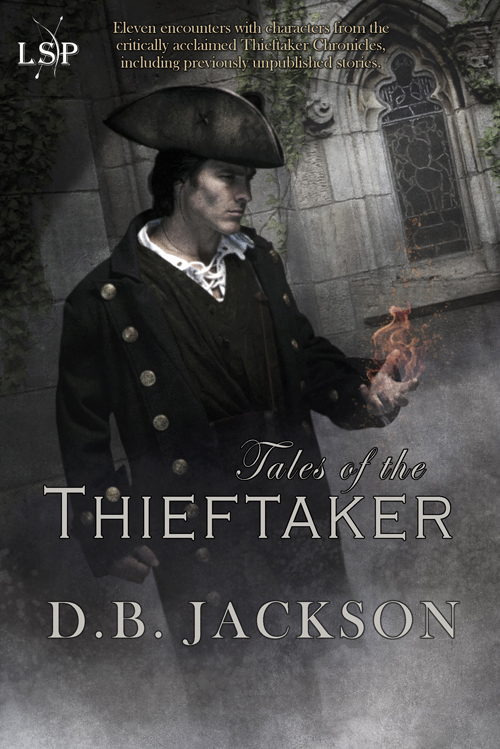 Jackson, David returns to the adventures of Ethan Kaille, the hero of his critically acclaimed Thieftaker series (Thieftaker, Thieves’ Quarry, A Plunder of Souls, Dead Man’s Reach). The collection includes several short stories, some flash fiction, and the long-awaited, full-length novella, “The Ruby Blade,” which tells the story of Ethan’s involvement in the mutiny that changed the course of his life. 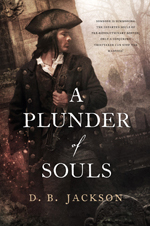 The trade paper edition of A Plunder of Souls is out and available for purchase. Order your copy now!! Dead Man’s Reach, the fourth and (for now) final volume in the Thieftaker Chronicles, released in the summer of 2015 by Tor Books, was named one of the best books of 2015 by SciFiChick.com! 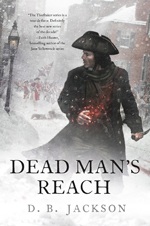 Kirkus Reviews calls it “A thoroughly engrossing and involving entry that no series fan will want to miss.” And Publisher’s Weekly says, “Jackson deftly mixes in the chaos of the Boston Massacre and the sobering realities of colonial street life, presenting a hero who is driven yet reflective on his responsibilities.” Like the first three books, in the series, Dead Man’s Reach sports wonderful art work from Chris McGrath. It is available in hard cover and all e-book formats, and can also be purchased from Audible.com as an audio book. “Water Witch,” a short fiction collaboration between D.B. Jackson and Faith Hunter, author of the New York Times bestselling Jane Yellowrock series, is now available for download from ebook vendors. The story introduces readers to Hannah Everhart, an ancestor of Jane Yellowrock’s closest friend, Molly Everhart Trueblood. 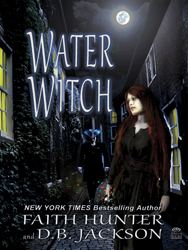 Hannah is a witch who lives in pre-Revolutionary Boston, and whose pursuit of a dangerous fae sea captain forces her into an uneasy alliance with Ethan Kaille. This was a labor of love between friends who have wanted to work together for a long time. Check it out! Writing as David B. Coe, D.B. 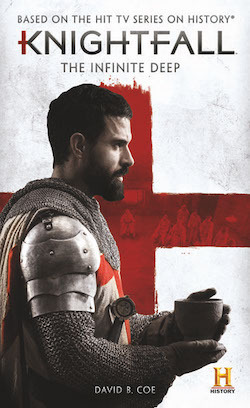 has written a tie-in novel with Knightfall, the Knights Templar series on the History Channel (TM)! The novel is called Knightfall: The Infinite Deep, and it is now available from all booksellers in paperback, ebook, and audiobook formats. D.B. 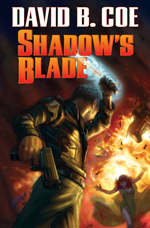 also has a contemporary urban fantasy out from Baen Books. 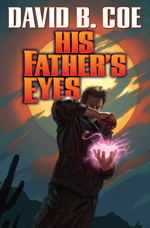 Spell Blind, His Father’s Eyes, and Shadow’s Blade, the three volumes of The Case Files of Justis Fearsson, are detective novels with a magical angle, lots of action, and even a dash of romance. David is also the author of a dozen other novels (eleven epic fantasies spanning three series, and a media tie-in), a founder of the Magical Words blogsite, and co-author of How To Write Magical Words: A Writer’s Companion. 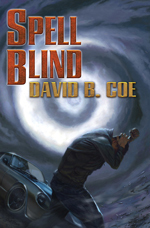 You can read more about the works of David B. Coe at his website. 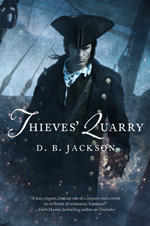 Thieves’ Quarry, book II of the Thieftaker Chronicles (Tor Books), is out in paperback, as well as hardcover, ebook, and audio book. It was named one of 2013’s best fantasy/science fiction books by SciFi Chick.com and Fantastical Imaginations. 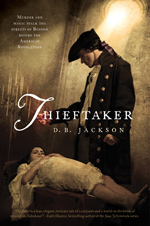 And, of course, Thieftaker, book I in the Thieftaker Chronicles, the book that started it all, is available in paperback, hardcover, e-book, and audio book.